If you are in receipt of this Revelation, then you’re already aware that Realskiers.com is the most prestigious (and informative) online destination for serious Alpine skiers. A pungent stew of wry insight, occasionally accurate historical perspective and technical savvy made more palatable by a deviant sense of humor, Realskiers.com is best known for its annual analysis of the Alpine ski market. Realskiers isn’t just a compilation of preferred skis, but a methodology spanning seven recreational ski categories that assists skiers of all stripes in finding their perfect ski. For 2019, Realskiers’ panel of Test Shops has identified 130 Recommended models, broken down by genre, gender and skier style. You don’t have to be a member to take full advantage of Realskiers’ ski selection methodology, as all 2019 Recommended models are sorted by category on our free, public site. The Pontiff of Powder incubating another passage of pungent prose reeking with authority. It doesn’t matter what ski you buy if your boots are a hot mess, so Realskiers has always reviewed boots as well as skis. Boots are organized by brand, beginning with a brand profile that puts current developments into historical context. Within each brand, each model family is linked to both its exhaustive review on America’s Best Bootfitters (to be posted soon) and to the ABB and Realskiers shops that carry it. We’ll continue to identify skis we feel make the best match for senior skiers with our Silver Skier Selections, a practice we inaugurated last season. This bonus bit of recognition isn’t meant to suggest these models are only appropriate for the AARP contingent, or even that they’ve somehow been “seniorized;” they simply take a little less effort to ski their best. Realskiers’ budding relationship with Onthesnow.com, the world’s most visited ski site, fortifies our position as the galaxy’s most authoritative voice on the current market. In 2019, visitors to OTS, both in North America and across Europe from the U.K to Poland, will be linked directly to the selected ski review on Realskiers. Our compadres at America’s Best Bootfitters fulfill the same function for boots, allowing OTS to deliver the highest quality content to its visitors and millions of page views to Realskiers. Both ABB/Masterfit and Onthesnow.com are valuable, dependable partners. At its core, Realskiers.com is a membership site ($19.95/yr.) , a reader-supported enterprise that not only offers a collegiate-level education in all things related to the design, manufacture, marketing and sale of skis, but puts its members in direct contact with our esteemed editor, Jackson Hogen, to answer your most intractable problems. Members see long-form reviews of Recommended skis (sample) along with all their test scores. While we’re on the subject of long-form ski reviews, permit me to interject a bit of advice on how to best use one. Be aware that all evidence, whether narrative or numeric, is anecdotal; none of the data rises to the level of statistical relevance. The numbers for each evaluated behavior look more solid than prose only because numbers exude a whiff of factuality words can only aspire to. A narrative may seem to lack the intrinsic foundation of numeric results, but the story takes you on an imaginary run the numbers can’t mimic. Why do you think I compose 300-word parables about any given ski? I’m trying to reveal its character in a way numbers alone cannot. Pardon the crude analogy, but if you’re in the market for a ski, you’re dating with intent to marry. The Realskiers test team (and I) have dated all these skis, every one of them, and we took notes. Wouldn’t you like to know what we felt about your prospective partners? Of course skis aren’t people, they’re just things, the same way pets are just animals. No tennis racquet or golf club has ever saved my life, but my skis have. The bond between skier and ski shouldn’t be trivialized, for when man and machine are in harmony, all’s right with the world, and when they’re not, watch out below. The 2019 ski market sorted by brand, including a brand profile of each participating supplier, sketching its history and current activity. Reviews of relevant non-Recommended skis. Dozens of prior year Revelations, covering topics from how to be a better boot buyer to why skiers are better than everyone else. Archived ski reviews dating back to 2000. If you’re looking for skis older than that, we should talk. Instruction by All of Famer John Clendenin and Harald Harb. Considerably enhanced self-esteem, unless you’re already at or near your limit, in which case your self-regard will hover at current levels. And, if you’re still stumped or just need a bit of counseling, members can consult directly with me. 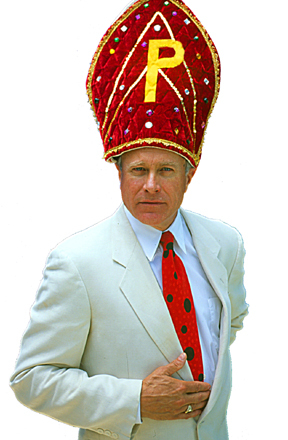 Why anyone would spend $1,000 a pair of skis without at least checking with the Pontiff of Powder defies logic. Amen. 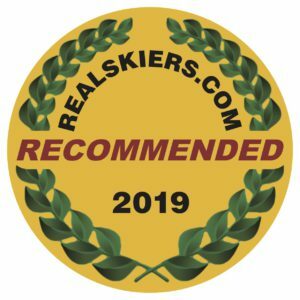 Consider this your invitation to visit the 2019 edition of Realskiers.com. The ski site you’ve been waiting for is waiting for you.